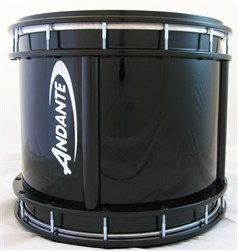 - Andante Tenor drums are designed to produce a sound that is in harmony with the drone section of the bagpipe, balancing the overall sound of the band thus enhancing the ensemble. - The Tenor Drum has a carrying handle and hook combined. This makes the drum easy to carry by hand. 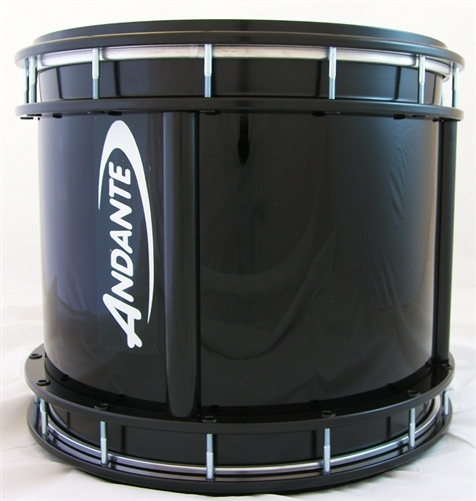 Andante Tenor 15x14" Andante Professional Tenor 18" Andante Professional Tenor 16" Andante Tenor 16x12"
Andante Professional Tenor 14" Andante Tenor 16x16" Andante Tenor 18x14"